As I press the ‘Publish’ button on this blog post I am sitting in a motorhome aire near Wissant. Yes, this post is going to summarise a whole five weeks in just a few paragraphs. It’s not that it hasn’t been fun, we have had a fabulous time over the Christmas break, catching up with some family and friends and yet again failing to catch up with other family and friends. It’s a strange thing when being home feels like more of a holiday than being away, but that is how it is. We do more when we are at home, trying to make the most of our precious time indulging in social activities like a trip to see Exeter Chiefs play rugby, a meal in London, a birthday party or New Year’s Eve festivities. It’s very similar to the way in which we used to over indulge when we were on holiday from our working lives, feeling pressure to squeeze as much fun as possible into a short space of time. Although we spent some time at home and on people’s drives, we also parked up in a handful of locations to visit friends and family. 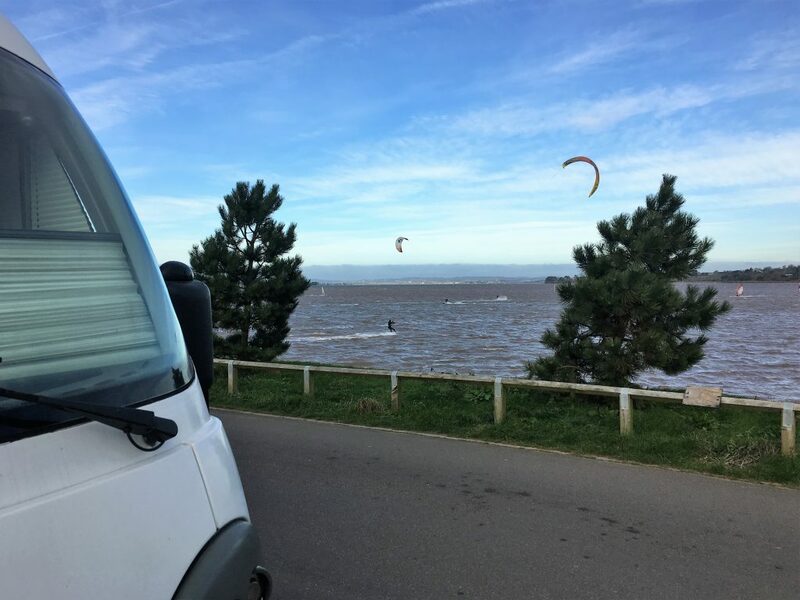 It’s commonly held that the UK is not friendly to motorhomes, and it’s true that in comparison to France, Italy or Spain, it has far less motorhome specific provision. But if you look around you’ll find options, even in the middle of winter. 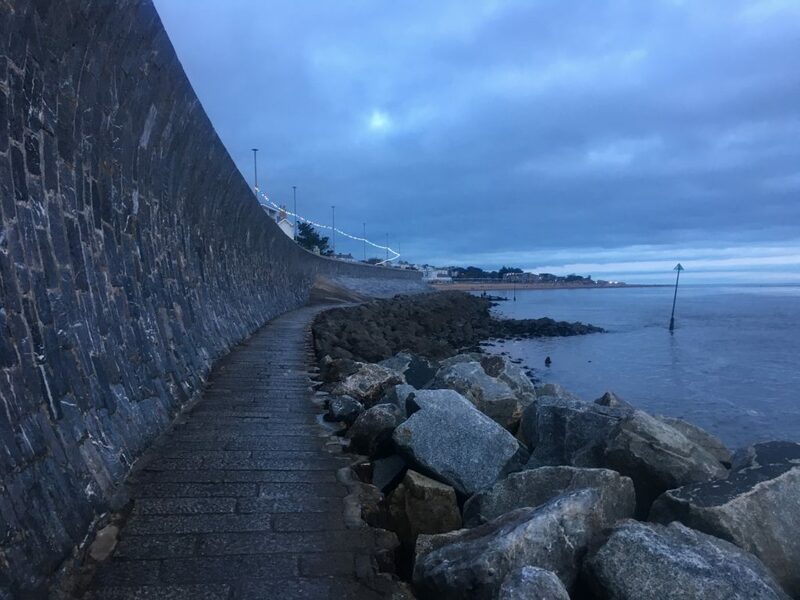 Exmouth is the place we feel most at home, although our official address is in Somerset. We spent a total of 14 nights here, on and off, parked at the Imperial Recreation Ground with a splendid view of the ‘Duck Pond’; a shallow area of the tidal estuary used by wind and kite surfers when the weather is right. It costs £11 a night to park here on a trial scheme by East Devon District Council. It was very busy here over the new year with 16 vans at one point – most people were paying for their visits, but we did come across one person who decided that it was Christmas and the parking attendants were unlikely to check. What a shame. These sorts of schemes are few and far between and although £11 is quite a steep parking charge at least motorhomes are being made welcome. There is the added bonus of a toilet block here (closed overnight) and a water fountain. We went to Bideford in order to visit friends and family who live in North Devon. 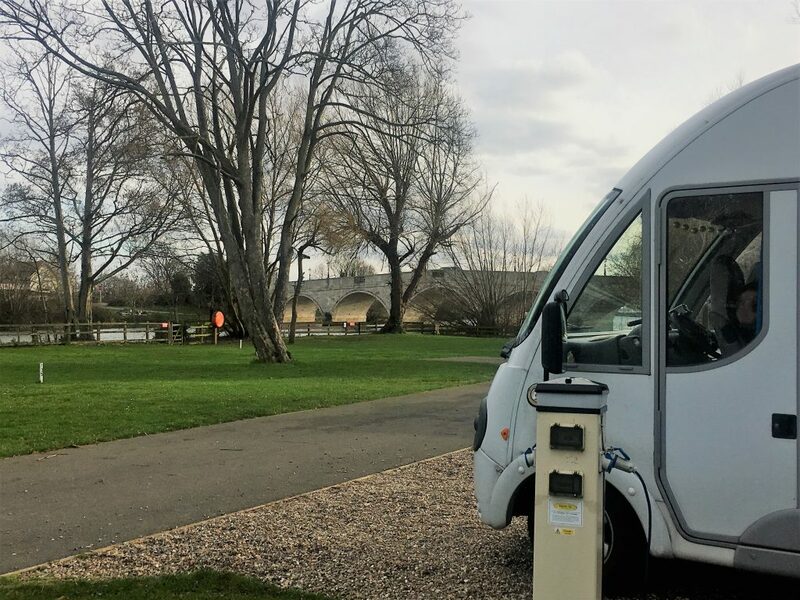 There is parking in Bideford and a number of other car parks in the district (including pretty Appledore), motorhomes have to pay a £5 overnight fee plus their daytime parking costs – this would work out as £8 for 24 hours. We parked in the overflow area where spaces aren’t marked out, so it’s better for bigger vans. It’s another parking area with public toilets. 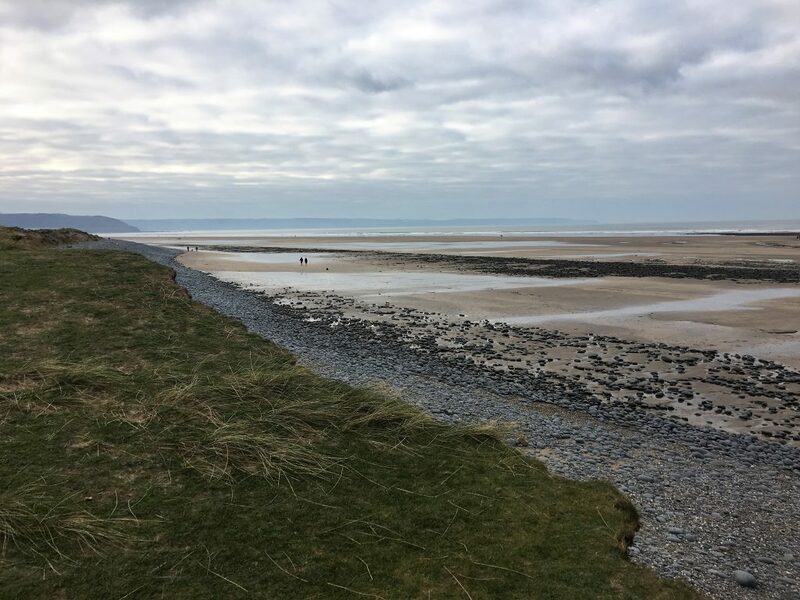 As well as visiting people we managed a lovely long walk up the estuary and round the coast to Westward Ho! 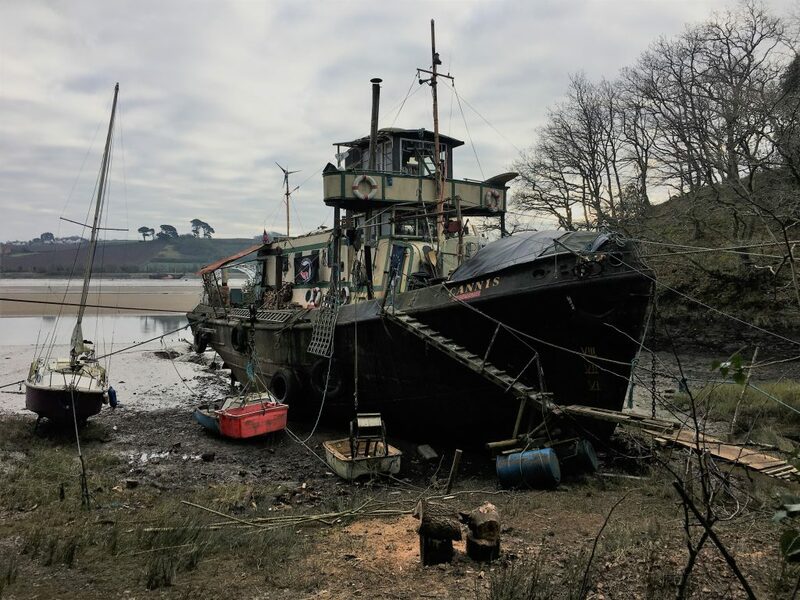 before coming back across famer’s fields to Bideford. Our usual campsite was closed for a winter break, so we used Cornish Farm instead. There is nothing wrong with Cornish Farm campsite, it’s just a bit further from home and a tad more expensive. It does have underfloor heating in the bathrooms though – lovely and toasty on a cold winter’s day. It’s on a cycle route into Taunton town centre which joins up with national cycle routes including the canal path. This was an ideal location for visiting friends and family in London. Let’s face it, there aren’t any really great locations for older vans near London, the Low Emissions Zone means we have to stay a long long way out of town. This site is close to the M3 and M25 so it’s really easy to get to and some pitches have lovely views of the Thames. There is road noise and it’s under the Heathrow corridor, but it was nothing we couldn’t cope with. The site also has the advantage of being close to Chertsey station; about a 20 minute walk or 7 minute bike ride (and we would feel happy locking our bikes up at the station). Trains from here go direct into Waterloo and Clapham Junction, for the people we were visiting this was ideal. We’ll definitely use it again when we pop back for a visit on our return. So that’s it. Christmas and New Year has been and gone. It has suited us much better to be in the UK during the Christmas break and we have had a wonderful time, but we’re very excited to be back on the road again.